My vote is Phil Hansen. He had a long successful career with a good team. 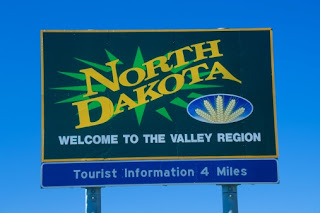 It would be interesting to put together an all-star roster from the great players who came from North Dakota in Football. Who would be the candidates at quarterback? That's probably the top QB's unless someone else knows of someone. Last edited by NDSportsFan on Tue Jan 03, 2006 10:01 am, edited 1 time in total. I'll add him to the list, thanks! Eslinger was from Bismarck and played at Minnesota, He's a sure 2-3 round pick in thies year's NFL Draft! Hunt played for Cavalier and then for NDSU, Last year he was a 5th round pick by Indianapolis and is currently on the Practice Roster for Denver. Also if anyone ever stops by the West Acres Mall they can find a lot more than just Baseball facts about Roger Maris... he was quite the Football player too. He once returned 4 punts for TD's in a single game. I think they may have won a few state titles while he was playing as well. Last edited by Wombat on Thu Jan 05, 2006 5:32 pm, edited 1 time in total. One of these guys probably isnt the best football player in ND, but there guys that had great high school careers. I almost forgot Dave Osborn who I believe was from Cando, and I think Jim LeClair who was the last Pro Bowl Linebacker from Cinncinati, isn't he from ND. How about all the great players that came out of Fargo Shanley in the 60s and 70s... does anyone remember them.... I know alot of those players went on to great college careers. Did Jim LeClair play football for Mayville? I know he resides in Mayville now. Bob Stroup-Fargo North, played for the gophers! Last edited by 643master on Mon Jan 09, 2006 9:09 pm, edited 1 time in total. Regarding Jim LeClair, he's actually from St. Paul. He played college football at Minnesota-Crookston and then UND, but he didn't play high school football in ND. Okay he's off the list!!! Didn't UND have a string of ND natives play the QB spot? Tiger Pride wrote: Didn't UND have a string of ND natives play the QB spot? Clay Wagner was the qb from Ellendale. UND also had Korey Wahl from Jamestown in the early 90's. Jim Leclair played HS ball in South St Paul, MN. College at UM-Crookston (then a JC) and of course UND. I think he played about 14 yrs in the pros (mostly with the Bengals, a couple also in the USFL) Played in a couple Super Bowls, and was a All-Pro. He had a short stint as Head Coach at Mayville State in the late 80's and stuck around Mayville, where I think he's been selling insurance since then. In the late 90's he went back to MSU as an assistant (while I played there) for a season or two. Actually, Maris returned 4 kickoffs for touchdowns...which by the way is still a National High School Record. How did Mr. Cichy do in the pro's?